The Daily Shower Can be a Killer was the headline of the NY times article on January 29, 2013. As we have covered activities of Daily living as a part of a Functional assessment, the deadly nature of bathing for the elderly comes up as a giant red flag Falls are the most common cause of death in the elderly, as I discussed in the You Tube on Mobility and falls yesterday. According to the CDC , if you are over 65 falls are the leading cause of injury and death. What can a geriatric care manager or aging professional do to prevent these falls? Most senior eyes may require extra light to see things clearly. GCM or aging professional can increase the light in the bathroom by fixing bulbs with high voltages and dimming light. Besides this, slippery surface can serve as a perfect recipe for bathroom falls. 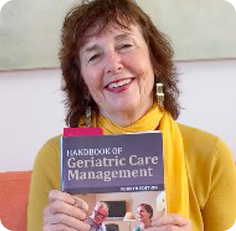 The GCM or aging professional needs to take preventive measures before things get worse? Fixing an overflowing tap, purchasing some non-slippery carpet on the ground and suggesting any other any tool that you think can help you get rid of the slippery bathroom surface. Clutter in the bathroom can be addressed. A cluttered place will increase the chances of injury. All clothing and other required materials should be kept in a safe place from where they do not fall very often. Grabs bars should be a necessary fitting in your bathroom. It’s important that you have stainless steel and solid grab bars that can offer firm support. Grab bars can come very handy when a person loses his/her balance. Also, a GCM or aging professional can have the elder invest in a good shower chair. More than often, elders slip while performing some basic movements in a standing position. By introducing a shower chair can enable elders to sit comfortably while having a shower, thereby reducing the chances of getting injured. . The GCM or senior professional can make sure there is a non- slip bathmat in the tub. Besides this, make sure that you make life easier for elders in your family by keeping things within their reach. Your best bet over here would be to store all bathroom related amenities in a place where they can easily reach without bending or stretching their body. This will prevent the instances of bathroom falls. Elderly people suffering from arthritis and other bone diseases will thank you a lot. Assessing for a care providers or family member to do standby with bathing is another safety assessment to prevent bathroom falls. Remember , the bathroom is the most dangerous room in the house. Functional assessment does dovetail. You can see now how doing the ADL evaluation of bathing is integrally related to mobility in functional assessment. All the parts of a functional assessment and the whole geriatric assessment can help older people not only functional better in their home and avoid falls that can obviously be a killer. In a Functional Assessment you test mobility. Direct observation can identify problems in gait and balance. Early detection of deficits in mobility can identify those clients at risk of injury. Whenever possible, rehabilitation can then assist in restoring functional losses and reduce the risk of falls. For those deficits that cannot be rehabilitated, assistive equipment such as a cane or walker can be provided. The Tinetti Balance and Gait Evaluation is a 28-point assessment tool that is performed by a trained evaluator. This can be done by a GCM, an OT or an RN but all should be trained in the test. A condensed version of the Tinetti is also available. This test, the Get Up and Go Test, is simple to administer, requires no special equipment, and can be conducted in a brief amount of time. The test begins with the client sitting up straight in a high-seat chair, which allows the person to sit with hips at a 90-degree angle to knees. The client is then instructed to (1) get up (without using armrests if possible), (2) stand still, (3) walk forward 10 feet, (4) turn around and walk back to the chair, and (5) turn and be seated. The evaluator notes sitting balance; transfers from sitting to standing; pace and stability of walking; and ability to turn without staggering. Statistical verification of the test by the developers showed good correlation between test scores and other measures of gait, which in some cases involved more sophisticated laboratory-based measures of balance and gait. Determining the exact amount of assistance that a person needs in each ADL is necessary to make the best recommendations for a care plan . For example, in bathing, if we find that the person needs only standby assistance in getting into and out of the tub or shower, the person might need the assistance of a companion (or family member) who can provide this service rather than assistance by a certified home health aide. Each state has its own laws regarding who can legally provide what service in a home care setting. If the person indicates that he or she isn’t showering because of a fear of falling, the person might only need to have the security of a shower chair and handheld shower spray. If the person has dementia and the family reports that he or she is not bathing, the person might only need reminders to bathe. More specific knowledge of joint function is also helpful in determining the amount and type of assistance that a person might need. For example, if the person has limited range of motion in one or both shoulders, will that person be able to bathe him- or herself? Will physical therapy improve shoulder function?